On Sale! 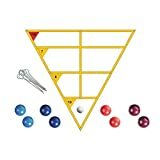 Up to 7% off on Bocce Sets at Scruffs Game. 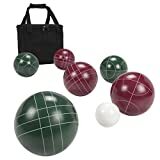 Top brands include Trademark Global, BuyBocceBalls, Professor Puzzle, MD Group, BEX, Markwort, Halex, Hey! Play!, Generic, EastPoint Sports, Triumph Sports, Epco, & TOOLTOWN. Hurry! Limited time offers. Offers valid only while supplies last. 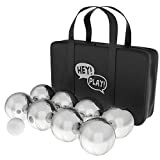 Trademark Global Petanque/Boules Set For Bocce and More with 8 Steel Tossing Balls, Cochonnet, and Carrying Case- Outdoor Game For Adults and Kids by Hey! Play! 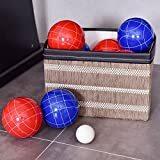 View more products in Bocce.